The Wellington Fishers staff is always available and able to help during your event. We have experienced staff that is very knowledgeable in all aspects of planning your event. The Wellington Fishers is dedicated to delicious food with a beautiful presentation. Our executive chef, Chef Paul knows how to add just the right ingredients to make your meal unforgettable. 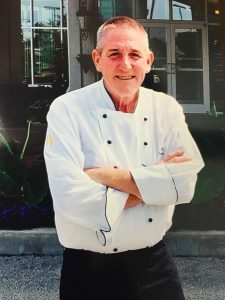 Chef Paul Jones joined The Wellington in 2016. He brought with him knowledge from 25 years at The Hyatt as well as 5 years as the executive Chef at Lucas Oil. He takes great pride in creating delectable food as well as creating a great presentation. Our goal is to leave you and your guest wowed. Chef Paul can work with you to create a great experience for your event, off site or on site.